Adding a hub drive to a mid drive bike. 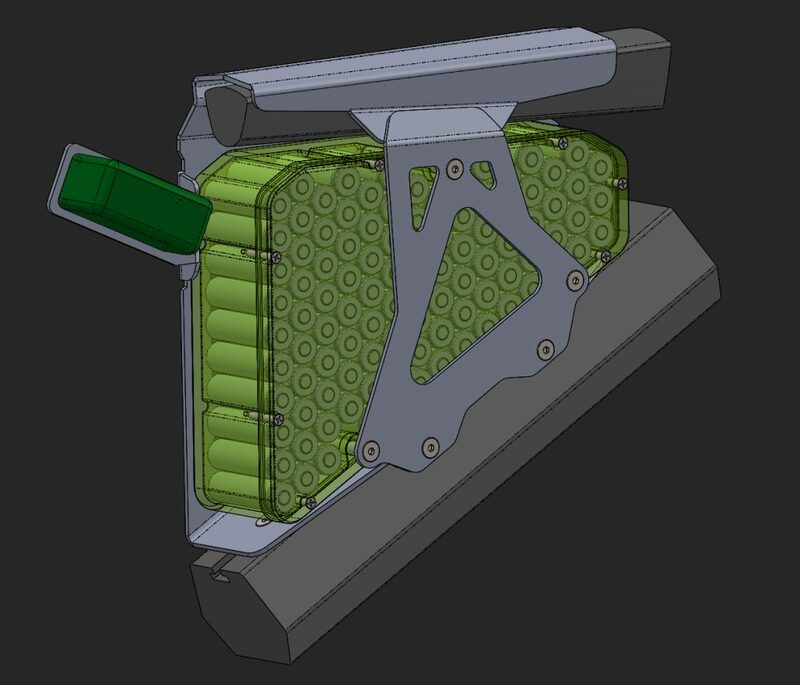 CAD design an ebike battery – One of my current projects. My latest interest is Ebikes. I recently sold off my old buggy, with intention of replacing it with something “ready to ride”. In the past I’ve spent far too much time under the bonnet rather than in the seat. So this time instead of building, I ve acquired a mid drive EMTB. Enjoying the outdoors by bike or vehicle is how I like to spend my spare time. The bike performs out of the box, but there is always room for more power and range! So whats the solution to this? Add a rear hub drive and CAD design an ebike battery. I worked out the largest amount of cells I could fit in the limited space I had in the frame. Initially, I never really had the intention of doing this (well maybe in the back of mind), but lucky for me the bike I have has a decent amount of space in the frame. I have noticed a lot of mid drive full suspension bikes have much less space than the one I have. Running the hub motor at a higher voltage (around 50V) is what I am aiming for. When I typically ride off road Id like to maintain speeds of around 50kmh on the flats, this is doable stock but requires a lot of pedaling. Based on the power curve of the motor maximum efficiency is around this speed. The added benefit of a throttle will allow me to tackle steep technical climbs without having to manage pedaling and pedal placement (to avoid pedal strikes). When necessary I can rely on throttle power to keep moving, pedal only for power makes this kind of climbing basically impossible. 98 cells, 14S7P was the best I could do which would give me a 50.4V battery, nice. Bosch’s mid drive only runs at 36V with only a 500Wh battery, but its under powered and factory restricted. Grin Tech’s rear hub kit will be its own separate system, reverting to stock will be easy. It will compliment the mid drive set up nicely, and allow higher gearing for increased top speed. Mock up of the battery pack mounted to the bike frame using a 3mm alloy mounting bracket. I have CAD designed the ebike battery box that’s optimised for 3D printing. 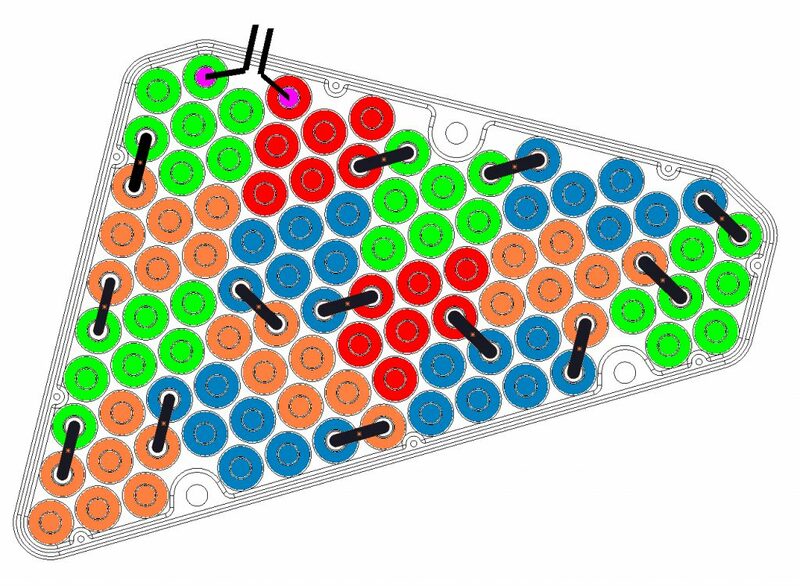 Cell arrangement has been plotted out. I’ve also designed the sheet metal mounting bracket that will secure it to the frame. Stay tuned for more updates as I progress the design and start building.